Alexa from Alexa Loves Books and I knew that we wanted to make changes in 2015. We both felt that we needed to become pickier about what we read for review and what we added to our shelves. That's how we ended up with The Picky Pledge! But before we explained what we were going to do, we decided to talk about what prompted our decision. So, we looked back at all of our reading stats for the year. It was a little overwhelming, but it was also completely revealing. The post ended up being one of my favorites, and Alexa and I knew we'd do it again as part of our recap for The Picky Pledge. We're sharing our 2015 stats today, and then we'll talk about what we learned in the past year in our posts tomorrow. For our final post, we'll introduce our goals for 2016 because we're not done with this accountability project! I read 153 books in 2015! I knew that I wanted to decrease the number of books I read for review for the year - one of the reasons Alexa and I launched The Picky Pledge in the first place. I set a goal to read no more than 36 reviews for the year - an average of three per month - and finished the year having only read 34! I'm so pleased that I was able to make progress in this area, and I'm hoping to continue that in 2016. And I'm so happy that I spent so much time re-reading this past year! 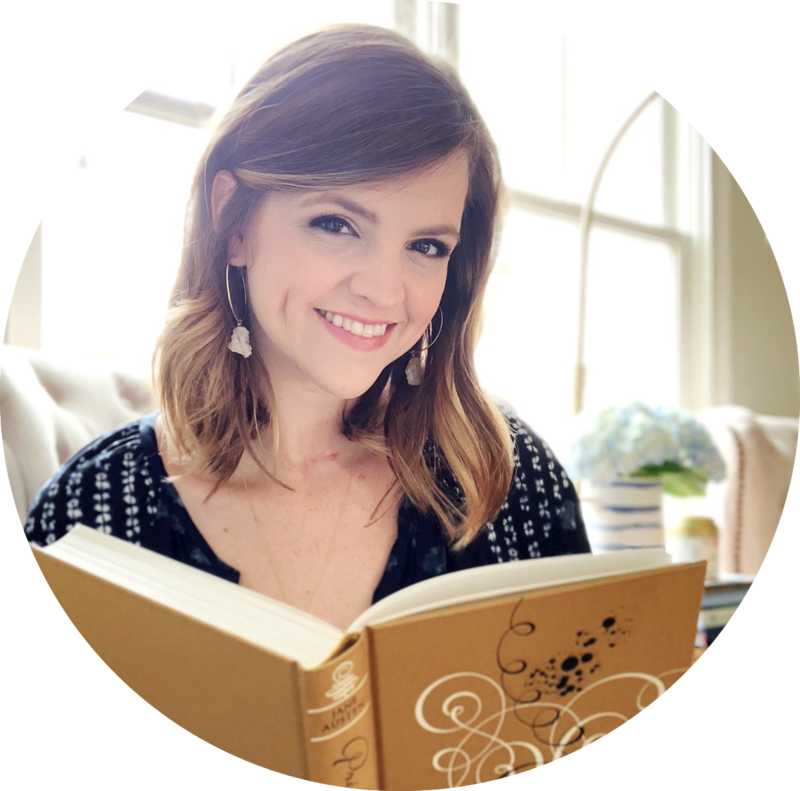 Co-hosting The Re-Read Challenge with Kelly from Belle of the Literati helped me return to my reading roots, and it made a huge difference in my reading life. However, there was one area where I totally failed: reading more from my TBR! I actually read less from my TBR than I did last year (partly due to my focus on re-reading), so that's a goal for 2016. Just like last year, I'm not too surprised by these results! I definitely prefer reading physical books, which you can see in my breakdown. Most of my TBR (and what I own in general) is in hardcover and paperback. I did spend a little more time listening to audiobooks in 2015, and I hope that continues in 2016. I'm curious about whether or not having a baby will affect my preferred format. 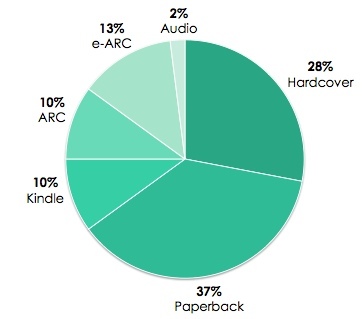 Will Kindle or audio increase next year?! I'm not unhappy with this breakdown, but it's not exactly what I was hoping to see. 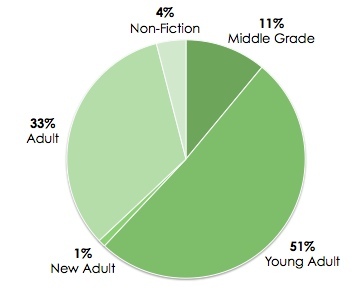 I read less Adult and Non-Fiction (and more Young Adult) in 2015 than I did in 2014. I didn't really read Young Adult until I started blogging, and I feel like it now dominates my reading choices. That's not necessarily a bad thing, but almost all of my favorite reads in 2015 were Adult. And that might be telling me something! Rather than break this down into every genre that I read from in 2015, I decided to combine a few (like Humor, Memoir, and Biography into Non-Fiction) so it wasn't too messy. 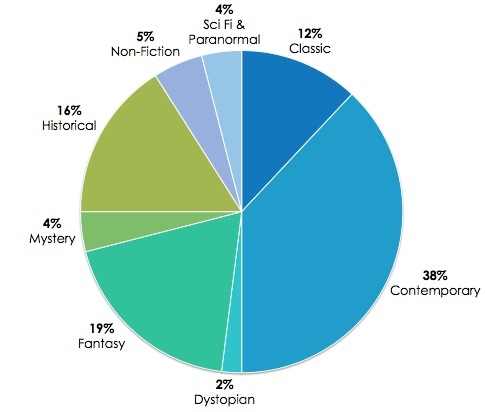 Once again, Contemporary made up the majority of what I read last year. And I'm not shocked that Fantasy and Historical came in second and third! Those three genres are my favorites, and I'm sure they'll dominate my 2016 reads, too. 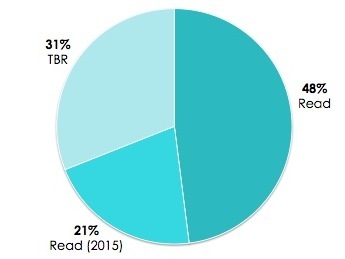 I can't believe that more than half of the books I read in 2015 belonged to a series or duology! Although, I probably shouldn't be shocked. I finished nine series that I started prior to 2015, read eight series from start to finish (in 2015), and re-read three additional series. And I know I read a number of series starters! As I said last year - as long as I'm finishing series, this stat doesn't bother me. 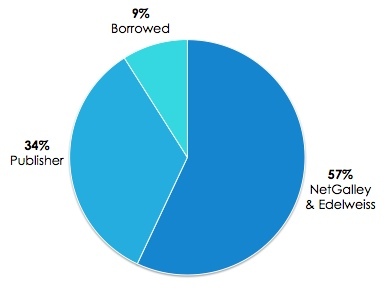 But I find it interesting to look at the breakdown! 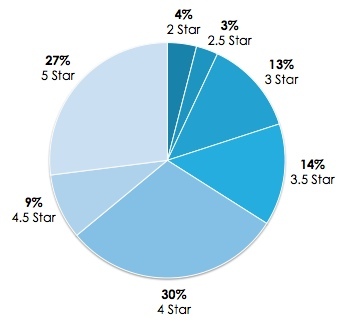 As I said, I knew that I had more 5-star ratings than normal because of re-reading. 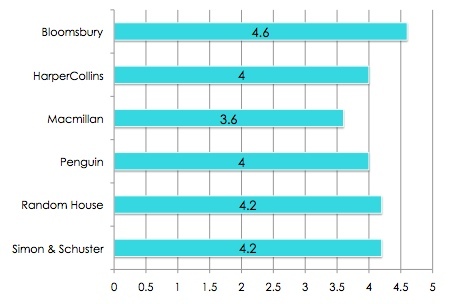 So, I'm not surprised that Re-Reads had the highest average rating. I'm happy that my average rating for the Review category went up from 3.5 last year. I hope that partly stems from being pickier. 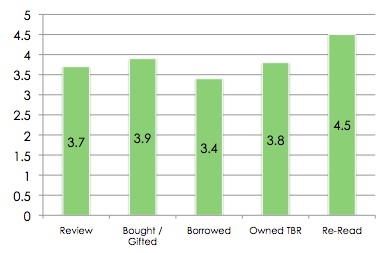 I am shocked that Borrowed has the lowest average rating. Are my library skills slacking? But yay for high averages for Bought and Owned! As with last year, I read books from more publishers than the ones listed here but decided to highlight only the ones that were my most read. Bloomsbury and Simon & Schuster were the winners in 2014, and they were clearly winning again in 2015 (with the addition of Random House). But the averages are actually high for all the publishers! I don't pay too much attention to publisher when choosing a book, but it's fun info to know. I received 47 review books in 2015 (half the number I received last year), and this is what I did with those books! You know what helped decrease that number? Not attending BEA. Ha! But seriously. I'm so glad that I read fewer books for review, but I still need to make changes. For example, I want to be more careful about requests so I have fewer DNFs. 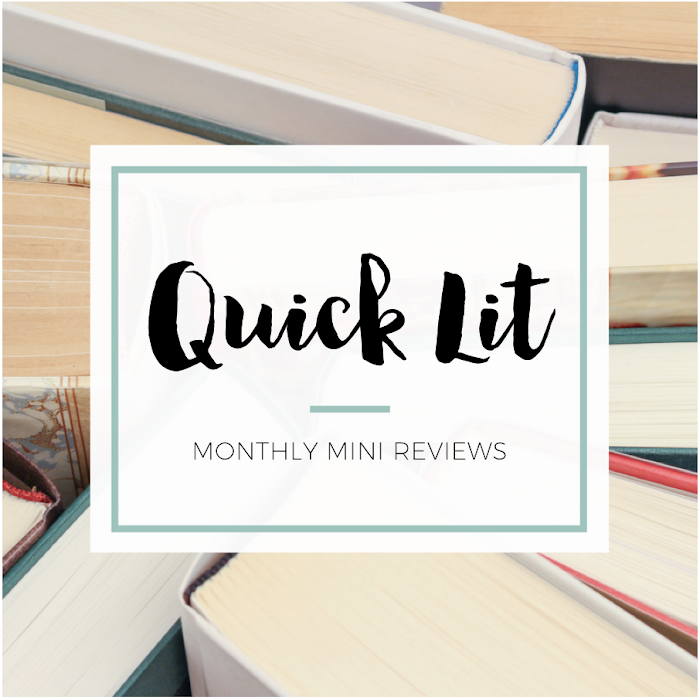 The five books on my TBR are 2016 releases, which I planned to save until now! You know what this breakdown tells me? I can significantly cut down on the number of books I read for review if I just stop logging on to NetGalley and Edelweiss! I'm scared to make this official, but I seriously think I need to take a break from both websites in 2016. I need to take control, remove them from my bookmarks and ignore Twitter when it tells me new books have been added. Can I do it? Time will tell, but I believe it's possible! I prefer reading physical books, so I'm not surprised that it makes up the majority of what I bought in 2015! 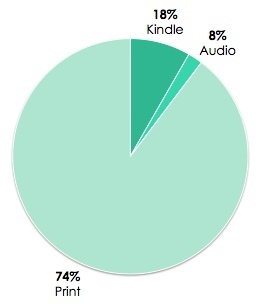 I'm still dipping my toe in the water with audiobooks, so that's a newer category for me. And while it may seem crazy that I added so many books to my shelves, I removed a ton, too! I definitely learned the art of culling this year, so I'm keeping only my favorite books and taking stuff off my TBR that no longer interests me. Last year, I was dreading this section of my post. And this year? While I still have changes to make, I'm thrilled with my progress in this area. 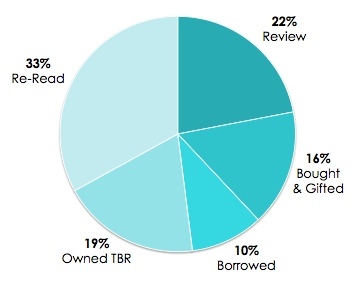 I bought 100 books in 2015 - a 53% decrease from 2014. That's right, y'all! I cut my book buying in half this year. I'm proud of how much I was able to change in just one year. My two goals for The Picky Pledge were to read fewer review books and buy fewer books, and I accomplished both! Now, I still think I need to buy fewer books because 100 is no small number. But I'm celebrating the improvement anyway! Almost half of the books I bought this year were books I'd already read, a book buying quirk I talked about earlier this year. And honestly, I don't think I'm going to worry too much about changing that habit. But I do need to start reading new books immediately so I don't add to my TBR. What does this mean for 2016? I obviously want to continue to pursue variety in my reading choices. I'd like to keep re-reading, although I don't think it will be a goal for me. I want to continue to decrease the number of books I read for review, and I'll share my official goal for that on Wednesday. But I think my focus this year will be on the two things where I feel like there's the most room for improvement. I know that both changes are within my reach. I've culled my TBR down, so I'm legitimately excited about reading the books that I own. That's the perfect place to start! If I didn't have so many unread books, buying books wouldn't be such a bad thing. So, stay tuned for my new Picky Pledge goals later this week! Wow this is probably one of my favorite year in review posts. You've tracked everything and made the stats look oh so pretty. Like you, I started reading a lot of YA when I started blogging but I think I'm slowing down on that end. I'm much more interested in reading adult books so I see myself going further and further away from YA and reading more of what I started reading in the first place. Still, awesome post and good luck this year! I'm so proud of you! We did exactly what we set out to do when we first talked about creating The Picky Pledge, and that THRILLS me. Like you, I've definitely improved in the areas that I knew I wanted to work on in 2015 - but there's room for even more growth. So here's to 2016 bringing us even better stats! Look at all of this progress! I followed your breakdown method this year (thanks again for the spreadsheet) and it helped me figure out my goals for 2016 as well. It tends to be along the same lines: fewer ARCs (less stress! ), more from the TBR pile. Bought those books for a reason - time to read them!